Yes, I’m trying to begin doing quick reviews of music (and possibly music/photography gear). Here we go. Enslaved has a long history stretching back to the early days of Norwegian black metal’s international rise. I’m not entirely familiar with their discography, but I know some of it has caught my attention over the years. I saw their other releases as decent, but “E” has something special going on. Here’s proof with the opening song, “Storm Son”. The album’s blend of Scandinavian blackness, 70’s psychedelic prog, and modern production make it a new favorite for me. In a fit of excitement, I almost posted on Facebook that this album seemed to be the best thing to happen to metal since Opeth’s “Orchid”. I can’t claim that yet — Orchid took years to catch on to the metal community at large. This is a beautiful metal album that carries deep musical wisdom under the surface. Each song is full of little ideas that you can’t remember until you hear it again, then you go, “Ah! I remember that part!” The band’s use of musical technicality and subtle repetition are intriguing from the first listen. Yes, screeching black metal vocals aren’t for everyone. People sure do love to explain how it’s the only part they don’t like about this music. Okay, okay. We get it. But for those of us who grew up with such entertaining vocal madness, it’s the glue that holds everything together. The uncertainty and excitement of extremity in music. 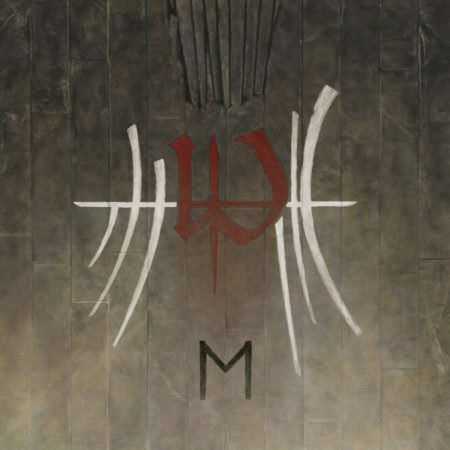 Enslaved has mellowed out their sound dramatically, but this feels more cohesive than ever before. Highly recommended!